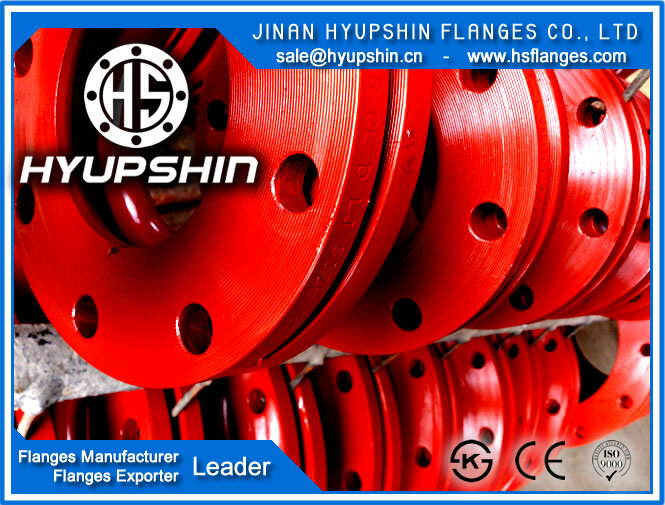 Jinan Hyupshin Flanges Co., Ltd supply AWWA C207 FLANGE, CLASS D, CLASS E, CLASS F, RING FLANGE STD BORE, SIZE 2" - 72", TYPE RING FLANGE, monthly output 2500Ton, material Q235B, A105. 1) AWWA C207 FLANGE, CLASS D, SIZE 2" - 72", TYPE RING FLANGE STD BORE, STEEL Q235B or A105. 2) AWWA C207 FLANGE, CLASS E, SIZE 2" - 72", TYPE RING FLANGE STD BORE, STEEL Q235B or A105. 3) AWWA C207 FLANGE, CLASS F, SIZE 2" - 72", TYPE RING FLANGE STD BORE, STEEL Q235B or A105.